This screen allows you to contact Radiodetection. 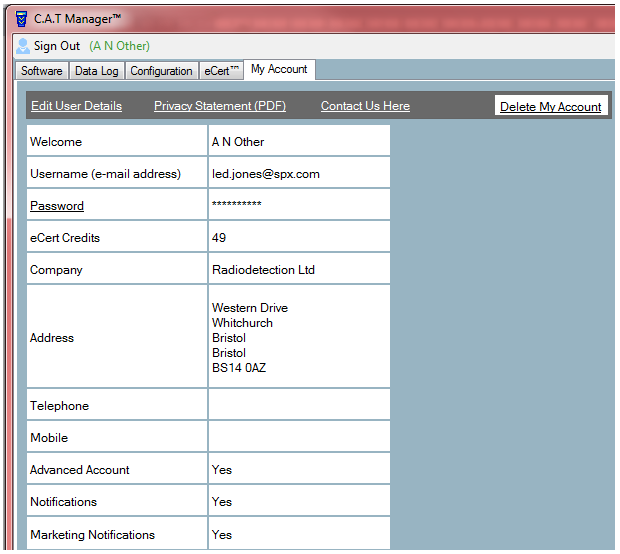 This screen is only available to users who are internet enabled and who have registered for a C.A.T4 user account via C.A.T Manager. Opens the Radiodetection Privacy Statement (A PDF reader is required). Click here to find online contact details for our staff worldwide. Click here to delete a user account.